Have you ever found it hard to keep up with your favorite manga? Sometimes with life you just can’t tear yourself away from that project you’re working on whether it be cosplay or your boring day time job. Viz may have just found the solution to all our problems and is now providing free manga on their Shonen Jump app! 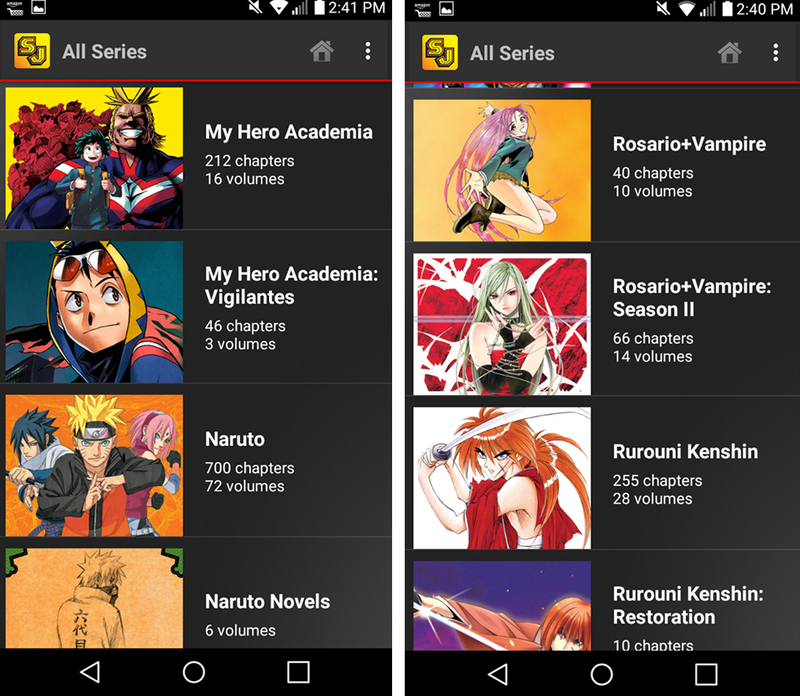 The app allows you to keep up with your favorite manga from Shonen Jump. The app also provides sample chapters for many of their titles so the curious can try before they buy. If you are all caught up then this app is an easy way to stay caught up for free. 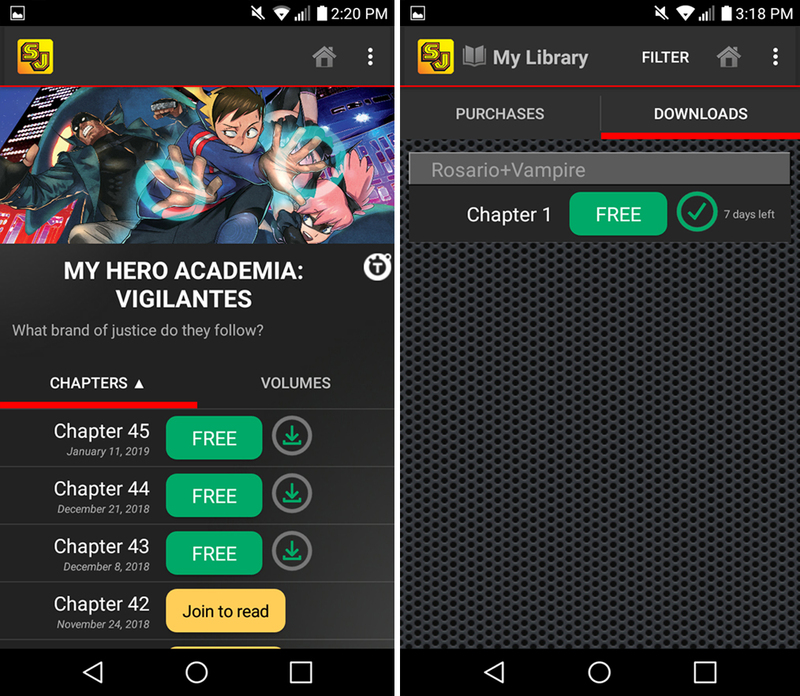 There is also a subscription model that is $1.99 and grants access to download and read up to 100 chapters everyday from a digital vault of over 10,000+ manga chapters. If you aren’t sure you will use the service you can sign up for a seven day trial and cancel before hand, but I think most people who sign up will be using this very frequently. For free users you can download the newest chapters that are available for a 7 day period. You will be able to read manga as well as buy exclusive digital publications from Viz. They have a lot of big titles on here and the one I am most excited to read from beginning to end is My Hero Academia. They also have the newest in the series My Hero Academia: Vigilantes that I know a lot of people are wanting to check out. Part of the fun of the app is that it also makes it extremely easy to find other stories you may be interested in. When you click on a title there is a section that gives you options for what “You Might Also Like”. 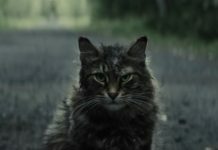 I don’t know about other people but when I finish a good anime or manga I have a period of mourning because I hate for it to be over. Now that doesn’t have to happen because I can take a chance on anyone of the recommended manga and continue my journey in a whole other world. 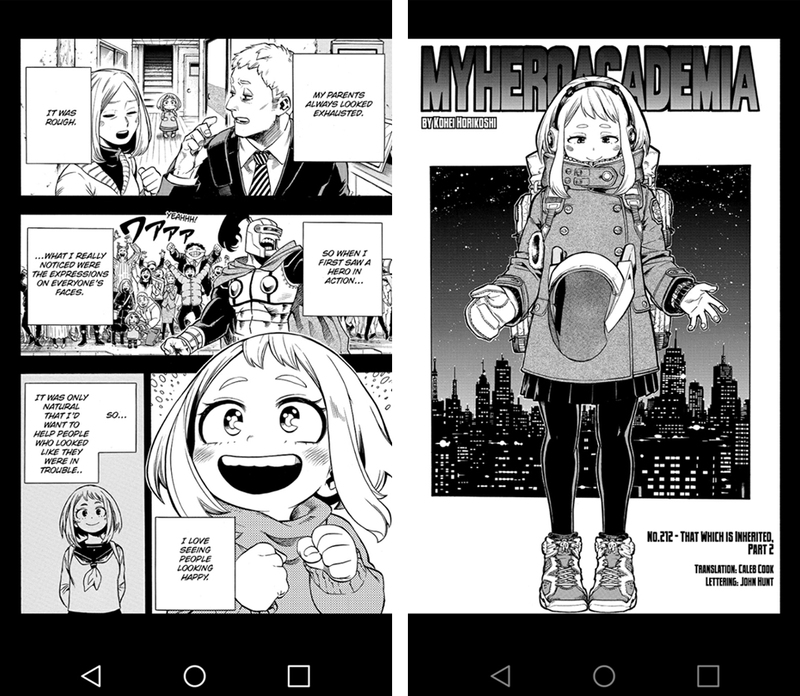 If you are wondering how the manga sizes up to your phone it looks amazing. It is clear and really easy to read. I was surprised that I was able to see everything so well and when there was smaller text I could easily double tap the screen and it would zoom in and out without pause. Like many other apps to turn the page all you have to do is swipe and the next page appears. I really can’t get over how pretty it all looks. As far as what is available pretty much anything you want to read is there. I mentioned they had both My Hero Academia and My Hero Academia: Vigilantes. They also have a whole slew of other names ranging from Assassination Classroom to YuYu Hakusho. Many of the hit anime that are streaming right now such as Black Clover, Blue Exorcist, Dragon Ball Super, Haikyu, Boruto, Food Wars, and others are among the series you can read. They have a ton of older manga too. I found Rosario + Vampire, Rurouni Kenshin, Bleach, Naruto and ALL of One Piece if you wanted to start on that beast of a manga. While you can use this as a free app I highly recommend that you pay the $1.99 a month. It’s so cheap compared to having to save up and buy a physical copy. Plus if you find that you really love a particular manga you can still purchase it for your collection at home. If you don’t have space at home this app is an amazing way to keep your digital collection together and all in one place. In the app you are even able to bookmark your favorite moments in the manga you are reading which is really cool, especially if you are an artist and like to draw from it. Since you are able to preview manga before you purchase it for your digital collection it makes decision making a ton easier. I think the best part about this is the fact that you can access your manga literally anywhere. You don’t need to pack a heavy backpack to share with friends like we had to do in the old days, all you need is your phone! 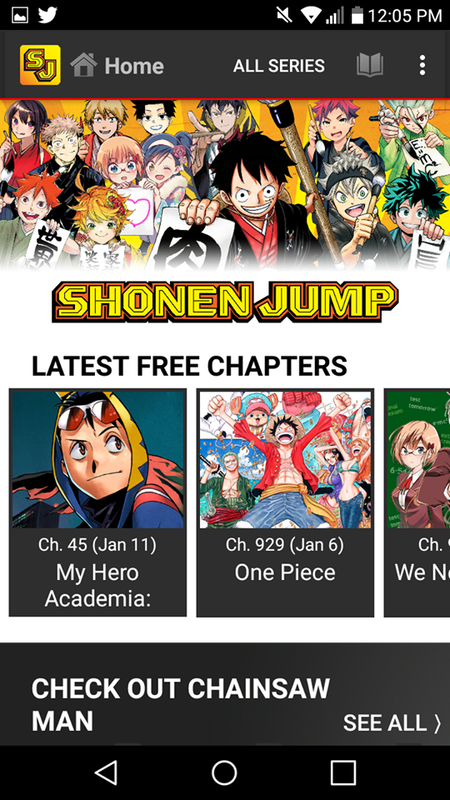 The Shonen Jump app is available on Google Play store or the iTunes App Store. 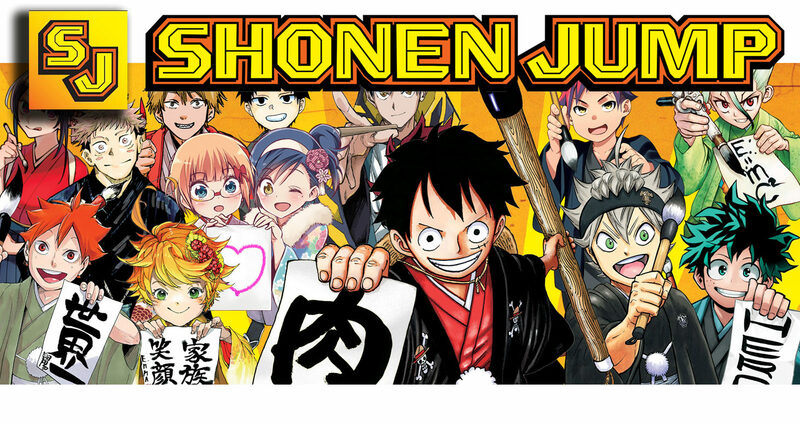 Will you be checking out the new Shonen Jump App? Tell us in the comments! I’m so happy to see that reading manga digitally is becoming more popular. I’ve preferred reading manga digitally for a while now, just because it’s so much easier to access and I don’t have to worry about where I’m going to store so many physical copies. If you’re open to trying out series that have been publishing digitally for a while now, I highly recommend checking out 4 Cut Hero. 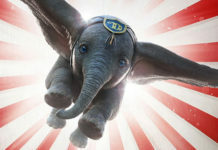 It’s a shounen series that has a nice balance of comedy and action, and uses a unique blend of a modern world and a fantasy world to create an interesting environment for the RPG based story. 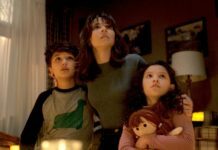 I’ve never really seen another series like it, so I honestly can’t recommend it enough.